Image: Italianate style villa, French Second Empire roofed tower and bay windows. 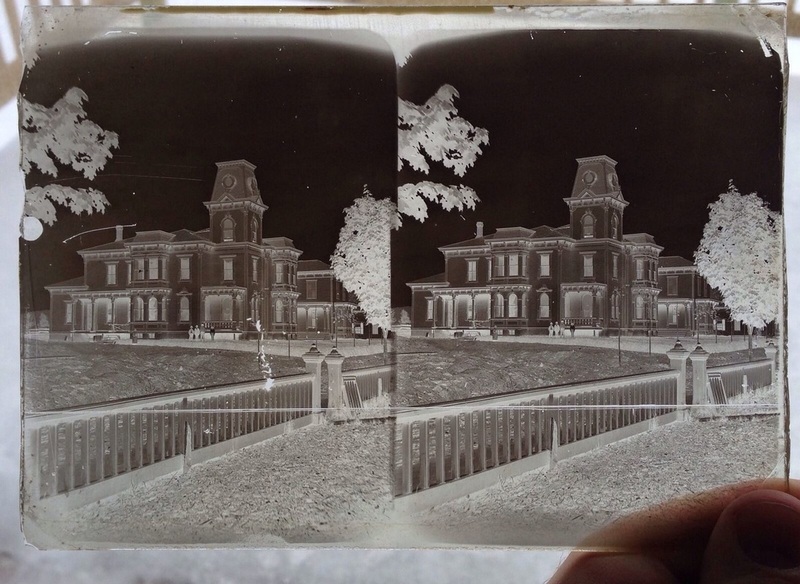 This negative was found near Bethel or Randolph, Vermont, Notice the scale of the people in this photograph in comparison to this mansion. The windows must be at least 10 feet tall. No one with 10 foot windows could ever be accused of liking dark interiors. Imagine how much fabric they required to create the fashionable curtains of the era. An establishment on this scale required both a large indoor and outdoor staff. A glass stereopticon negative, circa 1875. Private collection. Vermont’s rich legacy of historic resources is as diverse as it is engaging. From 12,000-year-old Native American sites to rambling 19th century farms, railroad-spawned villages of the 1870s to gleaming, streamlined diners that sustained auto-borne patrons road tripping through the 1930s, each of the buildings, structures, and spaces tell a story of who we are and what we cherish. The Vermont Division for Historic Preservation keeps hundreds of years of history alive and vital, engaging people of all walks in Vermont’s past through collecting, preserving and discovering a shared priority and value for the human spirit that preceded us. The office of the State Historic Preservation Officer (SHPO) is in the Vermont Division for Historic Preservation. With evidence of Native American occupations extending as far back as 13,000 years ago, Vermont has a rich cultural, historical, and architectural legacy. This significant heritage manifests itself in the state’s ancient Native encampments, agricultural farmsteads with timber-framed barns and rising silos, villages with white-spired churches and town halls marking the valley bottoms and maple-strewn hillsides, downtowns centered on railroad depots and sites of early industrial centers, summer retreats surrounding lakes and ponds, and ski resorts nested on the slopes of the green mountains. The strata of history is a component of the built and natural environment, recounting the stories of Vermont’s buildings, economy, and communities. This legacy does not endure by chance. ​Many of the historic buildings in village centers and downtowns can benefit from this program. Towns that receive downtown designation are eligible for special tax credits, loans and grants from various state agencies. ​Designed in 1996 by graduate students in the University of Vermont Historic Preservation Program as a working framework of information for residents, tourists, teachers and students, the mission of the Vermont Heritage Network (VHN) was to stimulate awareness and appreciation of Vermont's cultural heritage and built environment. The Vermont History Center is the home of the Vermont Heritage Galleries, located in the beautiful historic Spaulding School building at 60 Washington Street in Barre. Vermont Housing And Conservation Board. (a) The dual goals of creating affordable housing for Vermonters, and conserving and protecting Vermont's agricultural land, forestland, historic properties, important natural areas, and recreational lands are of primary importance to the economic vitality and quality of life of the State. (b) In the best interests of all of its citizens and in order to improve the quality of life for Vermonters and to maintain for the benefit of future generations the essential characteristics of the Vermont countryside, and to support farm, forest, and related enterprises, Vermont should encourage and assist in creating affordable housing and in preserving the State's agricultural land, forestland, historic properties, important natural areas and recreational lands, and in keeping conserved agricultural land in production and affordable for future generations of farmers. The Preservation Trust of Vermont maintains a strong presence in the Vermont Statehouse. We work with Smart Growth Vermontand a variety of partners to pass legislation and galvanize local advocacy to strengthen Vermont's downtowns and village centers, and encourage support for Vermont Division for Historic Preservation and the Vermont Housing and Conservation Board. For years, big-box retailers, strip development, and neglect have threatened our historic resources, small-town nature and rural landscape. We believe the preservation of Vermont's downtowns and village centers goes hand-in-hand with the conservation of our rural landscape. Some of our areas of high activity include participating with the Vermont Natural Resources Council in controlling large scale Wal-Mart developments in St. Albans and Bennington Vermont, and controlling out-of-scale Lowe's and Home Depot developments in other areas of the state. 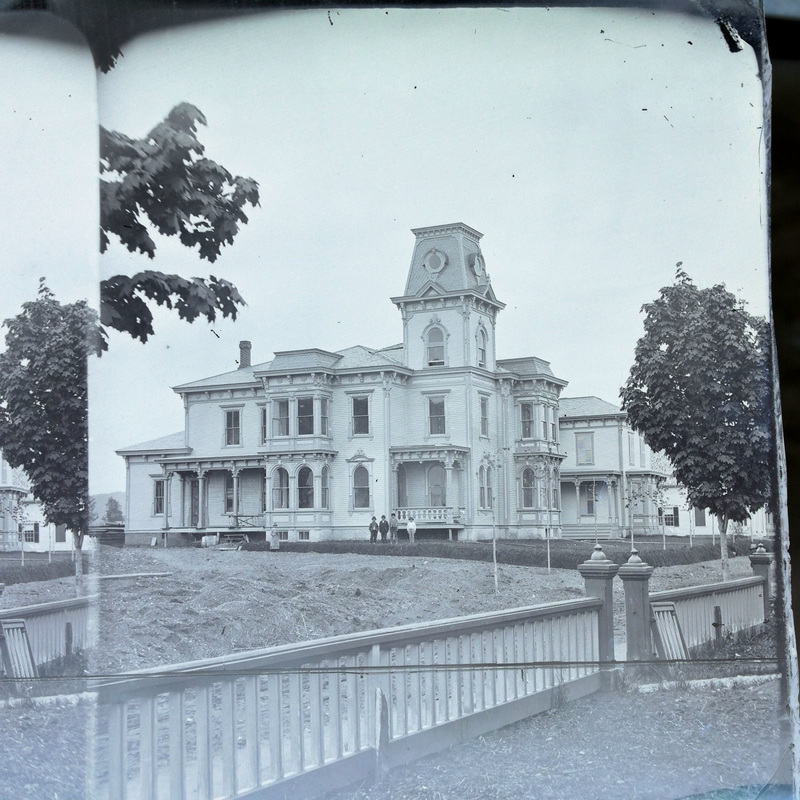 Image: Italianate style villa, negative found near Bethel or Randolph, Vermont, circa 1875. Note that the brackets along the eaves ignore the spacing of the windows below. One half of a glass stereopticon negative. 'The St. Johnsbury History & Heritage Center, a nonprofit organization, acquires and preserves historic collections and conducts purposeful educational programs that interpret the rich heritage of St. Johnsbury, Vermont. 'The Center’s vision is to provide a stimulating environment for the citizens of the St. Johnsbury community and the state of Vermont in order to celebrate and enrich the town’s history. By engaging people of all ages, the Center builds the foundation of its beliefs and objectives on the importance of preserving history, teaching history, exhibiting history and instilling history for generations to come. 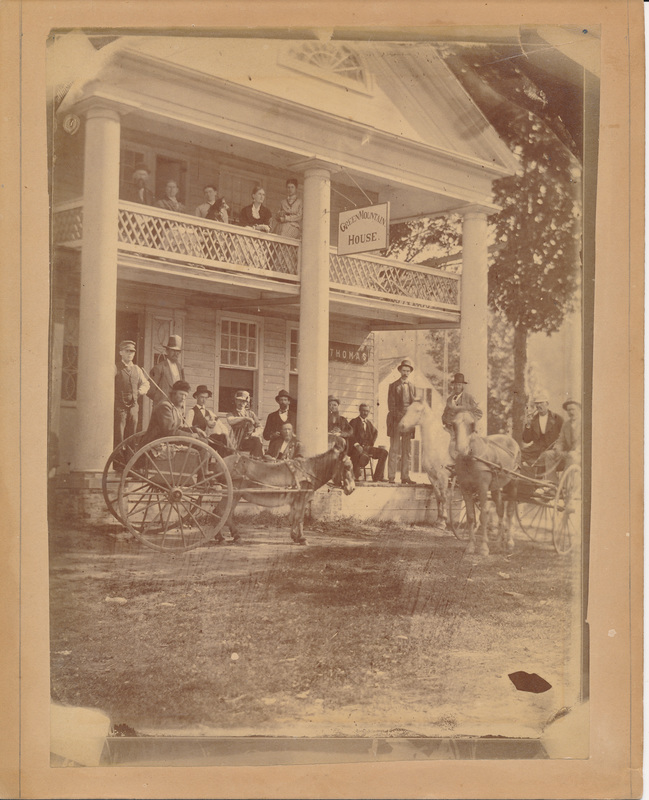 Image: The Green Mountain House Hotel was located in Pittsfield, Rutland County, Vermont. This hotel was a classic example of a temple-fronted Greek Revival style building. All the details were there. The free standing columns sat directly on the deck of the porch, as Greek inspired columns would have. The entabliture, the horizontal beam across the top of the columns, supported a full triangular pediment with a fine half moon window. The doorway is partly hidden by a column, but it's also a good example of the style: a tall door flanked by tall sidelight windows, each with an ornamental grillwork. The hotel building probably dated to the 1840's. Preservation Burlington is a 501(c)3 nonprofit organization whose mission is to preserve and protect the historic architecture and livability of Burlington through education and advocacy. Preservation Burlington was founded in 1998 by local residents and preservationists. Over the past decade our accomplishments include: preserving the Varney House at 76 Cherry Street, Henry’s Diner, and the Captain White House; passing the “four unrelated adult” ordinance to help bring families back to historic neighborhoods in the core of the city; and recognizing a variety of local projects and individuals with yearly preservation awards. The Montpelier Historic Preservation Commission's main role is planning and advocacy for the protection and appreciation of Montpelier's historic and architecturally significant resources. How this is to be accomplished is a broad charge. The creation of the MHPC and commitment to certain activities will enable the City of Montpelier to become a Certified Local Government (CLG), which will make a number of financial and technical assistance resources available to carry out a number of initiatives that have been on the waiting list for a long time. In fact, becoming a CLG has been on the waiting list since the adoption of the 2000 Master Plan. Brattleboro is a river town rich in history. It was the site of the first permanent English settlement in Vermont, Fort Dummer, in 1724. The town was chartered in 1753. It has been a printing town since William Fessenden began publishing books in 1805. For more than 100 years Brattleboro was the home of the world famous Estey Organ Company. Wells Fountain, pictured on the Society’s logo, stands at the north end of Main Street and was designed by architect William Rutherford Mead, who grew up in Brattleboro.